(Lake Forest, Calif.) – This fall OC Parks and Heritage Hill Historical Park are pleased to present a full calendar of events to get your family into the autumn spirit. Friday, October 18 welcomes the 6th annual Haunt at Heritage Hill. Be the first to dare tour the haunted schoolhouse. 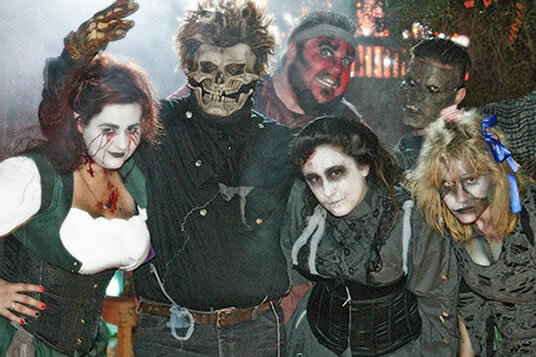 Are you brave enough to experience “The Legend of Sleepy Hollow” and the all new “La Carnivora” scream zones? Will you be able to enter “The Joker’s Side show?” Don’t worry there will also be a DJ, dancing and a special movie screening of the Universal classic horror film “Dracula” starring the legendary Bela Lugosi. Celebrate the legacy of Bela Lugosi with Bela Lugosi Jr. who will be at the event signing autographs and answering questions. On Saturday, October 19 OC Parks and the City of Lake Forest present the annual Autumn Harvest Festival “The Adventure Continues…” Heritage Hill Historical Park will host an adventure-filled festival with family fun attractions that include trick-or-treat stations, adventure mazes, the haunted school house, American adventure story telling and a Halloween costume parade. Be one of the first to explore and see the all new “Department of Jurassic Parks & Recreation.” This new attraction will bring to life the legendary Tyrannosaurus Rex and other surprises. Games, face painting, a balloon artist, the ever-popular glow party, a Princess Pumpkin Patch and a movie screening add to the festive holiday tradition. Visit Heritage Hill Historical Park October 18-19 in costume, with your trick-or-treat bag in hand and with your family and let the seasonal adventures take you places beyond your imagination.